Special Offer: Order 2 items of this product for a total of just £7.00. New Horizon Organic Peat-Free 35 litre Growbag carries the respected J Arthur Bowers name, and offers an Organic choice compost popular with environmental aware gardeners. Made from recycled green renewable resources and putting environment concerns first. British gardeners are using peat 200 times faster than it is being formed. New Horizon supports good soil structure & drainage whilst improving air/water holding capabilities. 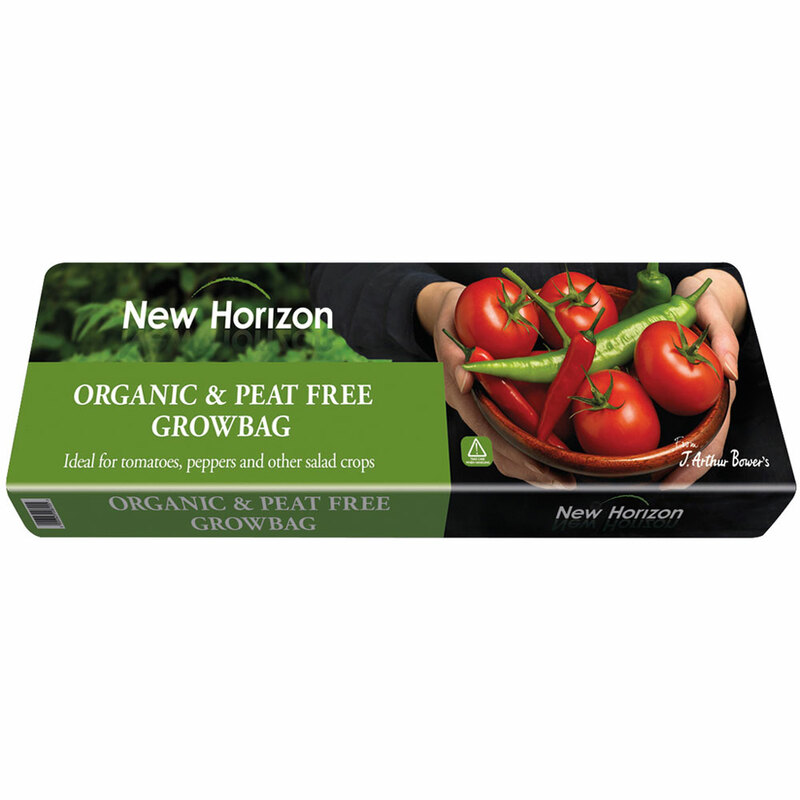 Ideal for growing your own in a limited space, simply lay the growbag down, cut out growing holes and plant salad crops or shallow root vegetables such as tomatoes, peppers or cucumbers. Add plant support frames as the plants grow, and enjoy healthy abundant produce and beautiful results. Growbags are suitable for floor space areas inside a greenhouse, growhouse or patio area, on gravel or drainable surface.